drama* on the waterfront: JOAN DIDION and THE YEAR OF MAGICAL THINKING. Didion is one of America’s iconic writers and The Year of Magical Thinking is a stunning memoir of electric honesty and passion in which she explores an intensely personal yet universal experience: a portrait of a marriage--and a life, in good times and bad--that will speak to anyone who has ever loved a husband or wife or child. It is a remarkably moving examination of the year following her husband’s sudden death just before their fortieth anniversary that is filled with often surprising insights and more than a dash of humour. It is one of the most critically acclaimed books of the decade. The book was published in 2005 – winning the US National Book Award. In 2006 Didion was persuaded to adapt the work for the stage and the resulting play opened on Broadway, New York in 2007 (directed by David Hare, starring Vanessa Redgrave). New York. 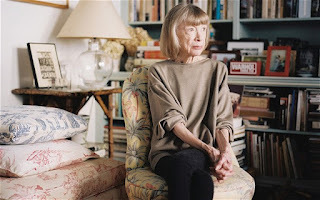 For over forty years, Joan Didion has been widely renowned as one of the strongest, wittiest and most-acerbic voices in journalism, literature and film. With her sharp, idiosyncratic essays collected as Slouching Towards Bethlehem and The White Album, she helped define both the New Journalism and Sixties America. 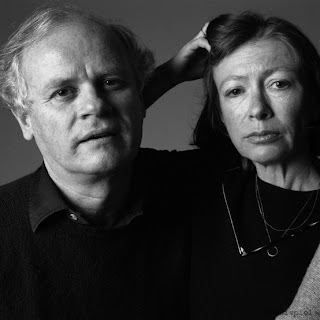 Later, she and her husband, John Gregory Dunne, became some of the highest-paid screenwriters in Los Angeles (The Panic in Needle Park, Play It As It Lays, A Star is Born) – glamorous, well-connected and Hollywood’s mascots of the East Coast intelligentsia. Combined with the political reporting and fiction drawn from her experiences in Central America in the Eighties, Joan Didion emerged as the grande dame of American journalism. So, no one could have been more unnerved by her unraveling in the wake of a pair of tragedies than Didion herself — a fact she conveys brilliantly in The Year of Magical Thinking, which chronicles an exceptionally unforgiving period in her life. Her recently married daughter Quintana had been stricken with pneumonia and fell into a coma. Only a week later, her husband and partner of 40-years died of a heart attack. 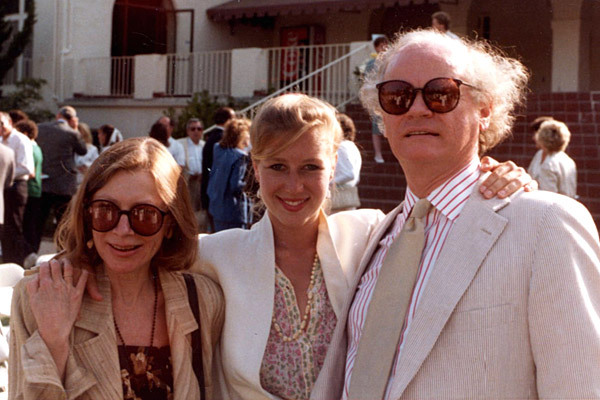 Battered by these events, Didion felt her grip on reality suddenly slipping. “Grief turns out to be a place none of us know until we reach it. We know that someone close to us could die. We might expect to feel shock. We do not expect this shock to be obliterative, dislocating to both body and mind. We might expect to be prostrate, inconsolable, crazy with loss. We do not expect to be literally crazy – cool customers who believe that their husband is about to return and need his shoes.” Quintana died in 2005, and Didion’s most recent book Blue Nights tells her story. The Year of Magical Thinking opens in Circa Two on 11 August and runs until 8 September. There will be a $25 preview on Friday, 10 August and a $25 Special on Sunday, 12 August. To book, please call the Circa Box Office on 801-7992 or go online www.circa.co.nz.